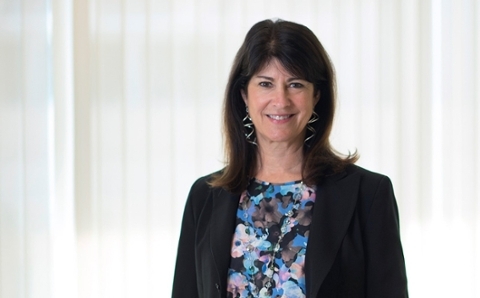 Chancellor’s Professor Leslie M. Thompson, PhD, from UCI’s Sue and Bill Gross Stem Cell Research Center, will lead a new CIRM-funded study to continue the development of a human neural stem cell product as a therapeutic treatment for Huntington's disease. Irvine, Calif. – February 4, 2019 – Following a California Institute for Regenerative Medicine (CIRM) Independent Citizens Oversight Committee meeting held last week, University of California, Irvine (UCI) researchers learned they will receive $6 million in funding to support the continued development of a promising new treatment for Huntington’s disease (HD). Huntington’s disease (HD) is a devastating dominantly inherited neurodegenerative disease that strikes individuals in the prime of life, typically beginning between the ages of 35 and 50, although in severe cases it can begin in young adults and even children as young as age two. HD progresses over 15-20 years before eventually killing its victims. No treatment currently exists that can slow or prevent the unrelenting progression of this devastating disease. The new CIRM-funded study will be led by Chancellor’s Professor Leslie M. Thompson, PhD, from UCI’s Sue and Bill Gross Stem Cell Research Center. The research will continue the development of a human neural stem cell product as a therapeutic treatment for HD. The ultimate goal of the two-year study is to achieve investigational new drug approval from the US FDA to begin first-in-human clinical trials in HD patients. “Based on our pre-clinical studies in mice, human neural stem cells are highly beneficial, reducing the accumulation of a toxic form of the mutant Huntingtin protein and improving HD symptoms and impaired electrical currents in the brain,” explained Thompson. HD is caused by a mutation that creates an expansion of a repeating DNA unit (CAG repeat) within the HD gene (HTT); the length of the repeat expansion correlates with the age of onset and severity of the disease. HD leads to widespread neuronal dysfunction and death in multiple brain regions. Symptoms are unrelenting and progressive and include inability to control body movements, declining cognition leading to dementia, and a profound effect on an individual’s psychiatric and emotional well-being and personality. Affected individuals eventually lose employment and ability to take care of a family, and usually die within 15-20 years of diagnosis. “Currently, there are no FDA approved treatments available that alter onset or progression of HD. The treatment we are continuing to develop represents a potentially promising approach,” said Thompson. The UCI Sue & Bill Gross Stem Research Center, part of the UCI College of Health Sciences, was established in 2010 and is a leader in regenerative medicine. Much of the pioneering stem cell therapy research conducted at the center focuses on neurodegenerative diseases such as Huntington's and Alzheimer's, ALS, as well as spinal cord and traumatic brain injury, type 1 diabetes, stroke, glioblastoma, thermal burns, the degenerative eye disease retinitis pigmentosa, multiple sclerosis and other debilitating conditions. Named in 2017 following a $200 million gift, the UCI Susan and Henry Samueli College of Health Sciences is the first university-based health sciences enterprise to incorporate integrative health research, teaching and patient care across its schools and programs. The College of Health Sciences includes the UCI School of Medicine, Sue & Bill Gross School of Nursing, the Department of Pharmaceutical Sciences and the Program in Public Health. It also includes the Susan Samueli Center for Integrative Medicine and the Sue and Bill Gross Stem Cell Research Center among other research entities. Recently, Dr. Steve Goldstein was named UCI vice chancellor for health affairs and will lead the College of Health Sciences. Founded in 1965, UCI is the youngest member of the prestigious Association of American Universities. The campus has produced three Nobel laureates and is known for its academic achievement, premier research, innovation and anteater mascot. Led by Chancellor Howard Gillman, UCI has more than 30,000 students and offers 192 degree programs. Located in one of the world’s safest and most economically vibrant communities, UCI is Orange County’s second-largest employer, contributing $5 billion annually to the local economy. For more on UCI, visit www.uci.edu.